The world’s top equestrians know they need to spend time at the gym. In a recent article on CNN, Olympian Laura Kraut talks about how equestrian fitness has become an integral part of her training regimen. “I work out regularly, probably more four or five days of the week,” Kraut, a 52-year-old American who won team gold at the 2008 Beijing Games, told CNN. “Particularly as I am getting older, I feel like it’s more and more important to keep your core strong because so much of riding is balance,” she said. As a rider, you’ve probably experienced this for yourself. 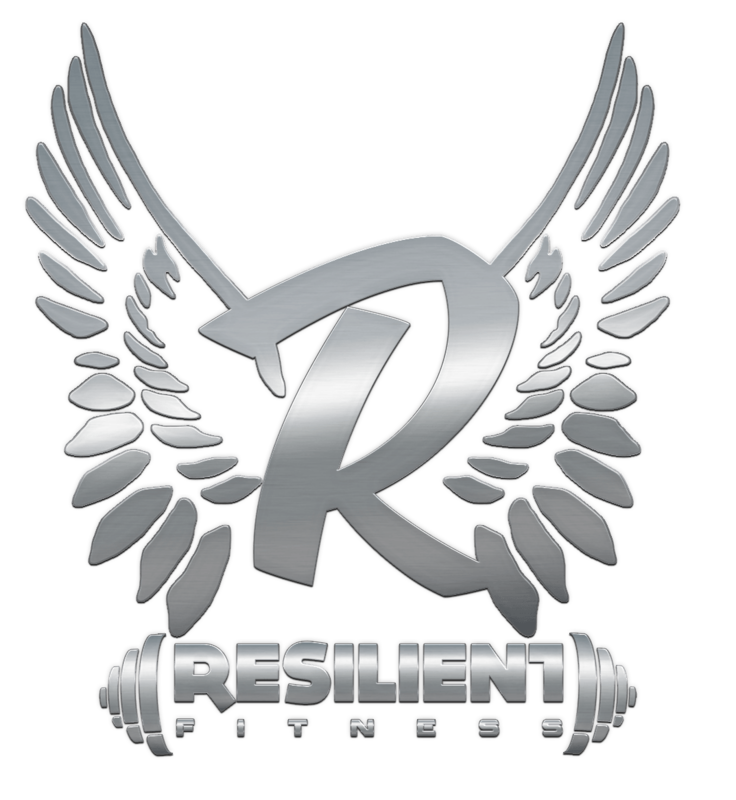 You know that when you are fit you are stronger, have better reflexes, are less prone to injury, and have more endurance. Riding is excellent physical exercise but it’s not enough for equestrians who want to be five star riders. After all, your horse has a training regimen that you follow faithfully. If training is good for your horse, it has to be good for you too. Incorporating a on off-horse fitness program into an already busy life can seem impossible, but the very best riders all do it. In particular, it requires a strong desire for self-improvement, self-discipline, and the determination to rise to the next challenge. As an equestrian athlete, you apply self-discipline to all areas of your life. Thus, your physical fitness training regimen should be one of those things. 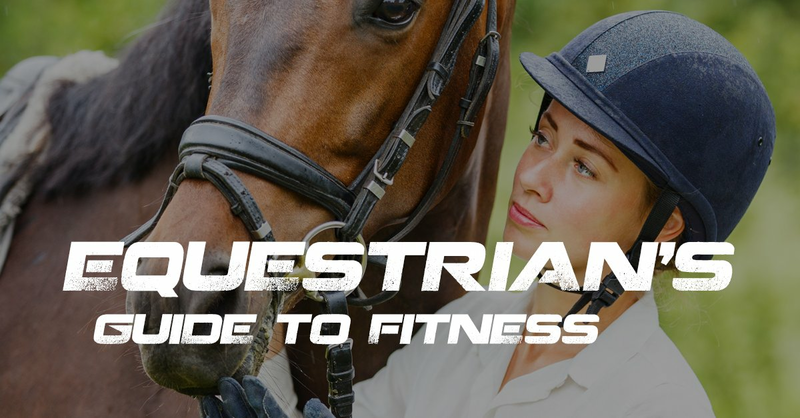 Here are the top ten things we think you should include in your equestrian fitness program. Strengthen your core. A strong core is the most important investment you can make in your overall performance as a rider. If you want maximum impact for the time invested, focus on this area of your body. It needs to be strong enough to support excellent posture during your ride. The catch is that you can’t get this strength through riding only. You need to work on it outside of your regular time on the horse. Increase your overall strength with power lifting and weight training. If you are a physically stronger person it will make you a stronger rider. In addition to burning calories, weight lifting builds strength, increases muscle size, and improves endurance. 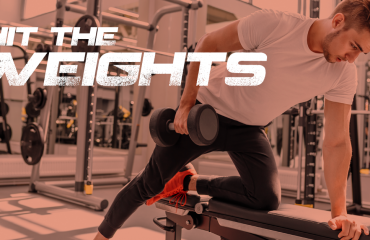 By adding free weights to your fitness routine, you will move easier and have better balance because you must learn to control the weight as well as lift it. Increase flexibility by incorporating stretches into your daily routine. Stretching is one of the most underutilized methods of improving athletic performance. You need to stretch to lengthen muscles that get tight from riding. For the best athletic performance, riders should target the calves, hamstrings, hips, and groin. Strengthen your hips and legs. Riders rely heavily on their hips and legs to maintain balance and control the horse. Because of this, you need strong quads and glutes. Strength in these muscle areas will also reduce your susceptibility to strains in the groin area and make your lower body more stable. Increase the mobility and suppleness of your hips and legs for a deep and independent “seat”. The right exercises will give you mobility in your hips and legs (in addition to strength) and contribute to a stable seat. Increase your cardiovascular capacity with aerobic exercise. Riding in itself doesn’t provide adequate cardiovascular conditioning for competitions. Regular off-horse cardio training will increase your stamina, increase your endurance, and reduce your injuries. Strengthen your arms, chest, and shoulders. Your horse is led by the position of your upper body. This means that your chest and shoulders need to be in strong to achieve an effortless independent hand. Use equipment such as a shoulder press, a chest press, or a biceps curl to pay attention to this important, but often forgotten, area of your body. Strengthen your lumbar muscles. Many riders suffer from lower back pain. If you’re one of them, it can be debilitating and negatively impact your performance. If you lack strength and suppleness in your torso, your body will have a hard time absorbing the repetitive movement that comes from riding. Usually this puts strain on the lower back causing pain and injury. Exercises that strengthen the lumbar area will help. Many riders have success with crunches, Pilates or Swiss ball exercises. If you are experiencing lower back pain, we can work with you to address it. Don’t neglect proper nutrition. 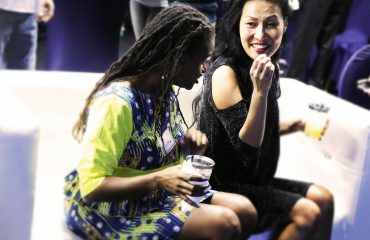 Traveling and event attendance can thwart even the strongest healthy eating resolutions. In order to perform optimally, your body needs good fuel to feed your strong and limber muscles. This means consuming lots of vegetables, fruits, lean protein, and mineral-rich foods. It’s easier to do at home where you’re in control of what’s available, but much harder to do on the road. Plan ahead so that you’ll have the highest quality food available to you when you need it. Don’t neglect mental preparation. With all the focus on physical fitness, your psychological state can get pushed down on the priority list. Mental toughness is important to winning competitions. Psychological awareness results in improved reaction time. You’re more likely to move with controlled speed and think to quickly. In addition to training your body, learn how to train your mind to get it into a state of superior psychological readiness. Riding is a sport that requires every muscle in the body to be ready to kick into action at a moment’s notice. It’s critical to train your muscles to work together to help the horse. 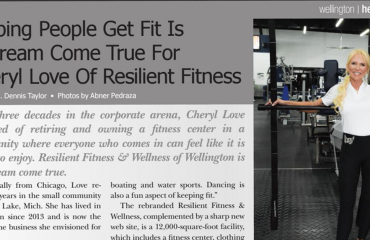 In addition, physical fitness will have a psychological impact, giving you greater confidence and courage. Embarking on an equestrian fitness program will help you to become the athlete you know you can be.